With all of the innovative technology in today’s world, why should braces still have to be wired together? You don’t need to accept crooked, uneven, and misaligned teeth in your mouth, but you also don’t need to suffer through the miseries of metal wired braces. Invisalign® has changed the teeth straightening process by offering a comfortable and simple alternative to braces that nobody will ever be able to detect. Invisalign® is a set of clear, removable, virtually invisible dental aligners that fit over your teeth to discreetly correct your smile over time. Unlike metal braces that are glued to the surface of the teeth and cause discomfort and embarrassment, Invisalign® aligners are customized to fit snugly over your teeth and slowly move them into the proper position. The aligners are manufactured with a proprietary and multilayer SmartTrack® material that uses subtle force to shift your teeth into place. Invisalign® offers an array of benefits when compared to standard braces. 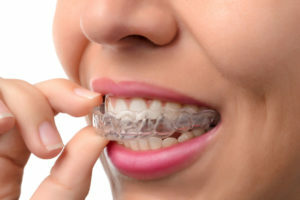 You achieve the same results of straight and aligned teeth, but without the pain and difficulty caused by metal braces. Invisalign® does not prevent you from eating the foods that you enjoy hurting tampa vitamin therapy. You can remove your aligners to brush and floss. Invisalign® will never tear cheeks and gums, cause extreme pain, or create feelings of self-consciousness. Since Invisalign® is such a simple and comfortable way to straighten your teeth, you don’t need to procrastinate. At Obrochta Center For Dental Health in St. Petersburg, Florida, Dr. Obrochta specializes in Invisalign to help his patients achieve straight, attractive teeth. When you make an appointment at Obrochta Center For Dental Health, Dr. Obrochta will take a 3D mold of your mouth, customize your set of aligners, and then provide you with between 18 and 30 aligners. You’ll upgrade to a new aligner every two weeks to gently shift your teeth until the desired result appear. 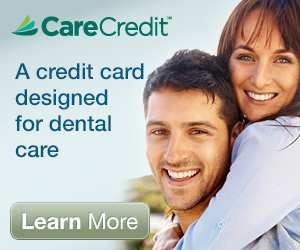 Call (727) 321-4464 to begin the process that will help you finally smile with confidence.